*Postgraduate student, Department of Prosthodontics & Medical materials, University Hospital Tuebingen, Tuebingen, Germany. For many years, medical and dental researchers have been focusing on their own fields of study, conducting researches in medicine related to the general well-being and the health of the oral cavity, respectively. However, the strong relationship between oral disease and systemic conditions has been increasingly studied and proved through the past few decades. Recent studies have provided obvious proof that oral hygiene and systemic well-being are directly related. The recent findings are strongly suggestive of the presence of an association between periodontal disease and systemic diseases such as osteoporosis, cardiac disease, low birth weight, poor control of diabetes mellitus, and pregnancy complications. The numerous efforts of the researchers from both fields have brought about many breakthroughs in our understanding of the etiological and patho-physiological mechanisms underlying the link between the chronic inflammation present in dental disease and other systemic conditions. researches may help dentists to greatly improve the current guidelines in treatment of periodontal disease, to prevent the negative consequences of oral disease on systemic health. Therefore, researchers must continue to not only establish the link between oral health and systemic conditions but also to recognize the positive effects of eliminating periodontal infections on the success of the treatment of systemic disease. Key words: Periodontitis, Systemic disease, Osteoporosis, Diabetes Mellitus, Cardiac disease, Pregnancy complications. Periodontal disease is the condition resulting from accumulation of bacteria in the tissues around the teeth which trigger a chronic inflammatory response from the body. 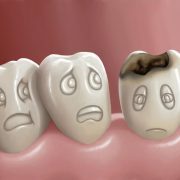 The chronic invasion of the gums by bacteria results in bone destruction and weak attachment between the teeth and the gum. There are several types of periodontal disease, from gingivitis which is the mildest form to periodontitis which is severe and difficult to treat. Gingivitis is the most common form which affects 75 percent of adults in the United States. 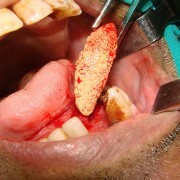 It involves red inflamed gums with frequent bleeding. There are more severe types that affect about 40 percent of the population in the United States. In these types, there are more accumulations of pathogens which lead to stronger inflammatory process and more severe symptoms. 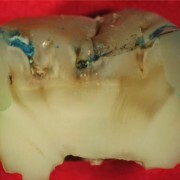 The diagnosis of periodontal disease depends on probing depth as an accurate measurement of the grade of inflammation. 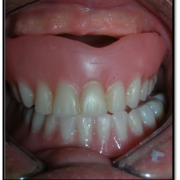 A depth less than 2 mm of the periodontal pocket is not considered periodontitis. Similarly, in addition to weakened attachment of the soft tissue to the teeth, resorption of bone is a feature of periodontal disease: specifically, the alveolar bone. 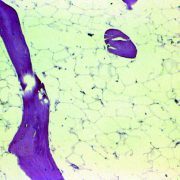 Because of this common pathological mechanism that is shared between periodontal disease and osteoporosis, researchers have tried to establish the links between the two diseases to recognize the possible effect of having one as a predisposition to the other. The underlying pathology in the case of increased resorption of bone may be explained by increased local and systemic osteoclastic activity, or by the local action of inflammatory cytokine on the bone tissue. 6 Increased resorption by osteoclasts is characteristic to chronic inflammations as in periodontitis. 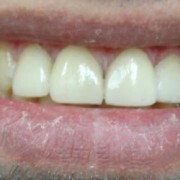 Nagasawa et al., 9 stated that «OPG mRNA was stimulated by P. gingivalis and A. actinomyecetemcomitans, indicating that OPG released by the action of LPS might have a role in the process of osteoclast formation in periodontal disease. The findings linking OPG and periodontitis is supported by other studies involving gram negative bacteria. 10 Because the infection due to these pathogens is usually transient, exposure to periodontal infection may stimulate the activation of RANKL and the activity of osteoclasts, leading to development of osteoporosis in patients with chronic periodontitis. Therefore, numerous studies have found a significant positive link between chronic periodontitis and oestrogen deficiency. In a related study, Wactawski-Wende et al., 15 stated that “a strong and consistent association between alveolar crestal height (ACH) and osteoporosis was found through measurements of bone density and ACH in postmenopausal women, with icreasing age as an important modifier of that association”. Despite the big achievements made in understanding the relationship between periodontal disease and osteoporosis, more efforts are required to clarify the link. The recognition of this link might provide useful warnings for the risk of osteoporosis, as well as important applications in treatment. However, the strongest evidence was found in the research studies of the relationship between oral and oesophageal cancers and chronic periodontal disease. Moreover, Tezal et al. 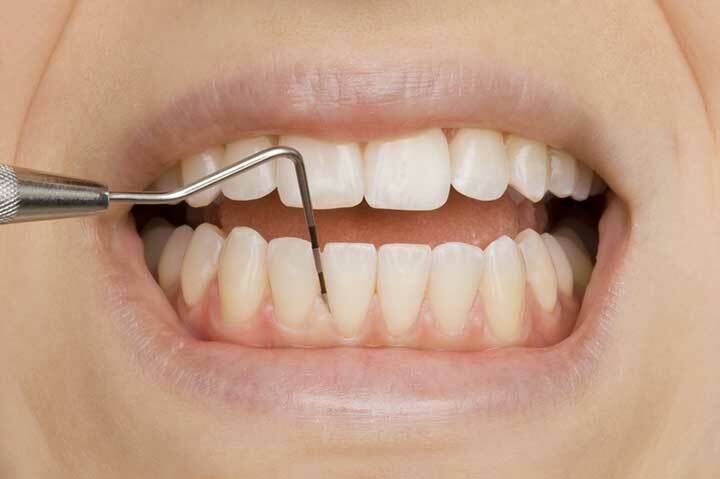 36 concluded that having periodontal disease can affect the pathologic type of cancers. The study found that patients with periodontal disease are more liable to have poorly-differentiated types of squamous cell carcinoma of the oral cavity than patients without chronic periodontitis. Moreover, it was indicated that pregnant women who suffer from some degree of periodontal disease are more liable to gestational diabetes mellitus than pregnant women who are free of periodontitis. 43 However, more research studies are needed in the coming years to have a strong statistically significant correlation between periodontal disease and endocrinal disorders including diabetes, as well as the link with poor pregnancy outcomes. The relationship between periodontal disease and the development of various systemic diseases, such as diabetes mellitus (DM), osteoporosis, pregnancy complications, and coronary vascular disease, is the topic of many research studies. Although most studies have provided evidence suggesting the presence of a positive relationship between periodontal disease and various systemic diseases, many physicians and dentists greatly advocate the need for more studies to confirm these conclusions. In general, more controlled clinical trials and more randomized samples are needed to confirm the relationship between periodontal disease and these systemic diseases. Studies on each of the systemic conditions have their own defects that prompt further research. Furthermore, anti-inflammatory and antibiotic therapy as a treatment strategy for periodontal disease should be incorporated in the studies to assess their role in preventing the deterioration of cardiovascular disease. Regarding diabetes mellitus, the current notion that chronic inflammation associated with periodontal disease may result in the metabolic disturbances associated with DM needs further evidence to clarify the underlying mechanisms. Also, elucidation of the mechanism underlying the relationship between periodontal infection and coronary vascular disease may provide a hypothesis that unifies both diseases, which may aid in the prevention of complications associated with both diseases. Regarding the relationship between periodontal disease and osteoporosis, more information about the molecular mechanisms involved in the activation of RANKL/RANK system could help in the development of new pharmacological methods for the inhibition of excessive bone resorption. Also, larger studies are needed to assess the value of osteocalcin, calcitonin, and parathyroid hormones as laboratory indicators of periodontal disease activity. Furthermore, more studies are needed to clarify the mechanisms by which periodontal disease may lead to malignancy, low birth weight, and pregnancy complications. It is of specific importance to differentiate between the presence of a causative relationship and a simple association. These findings will be of importance to dentists as well as clinicians, as periodontal infection could become a modifiable risk factor for the development of several systemic diseases, and this may result in advances in the prevention of those conditions. Lastly, oral health has direct and/or indirect effects on the individual’s general health. Both dentists and physicians should recognize the increasing significance of this relationship in modern health care. Dentists should increase their awareness and their clinical exposure to relevant systemic diseases to be able to interact meaningfully about these issues with their medical colleagues. Team approach is strongly advocated for the management of severe periodontal disease associated with relevant systemic conditions. 1. Newman MG. Classification and epidemiology of periodontal diseases. In: Newman MG, Takei H, Carranza FA, editors. Carranza’s Clinical Periodontology. 10th ed. Philadelphia: WB Saunders Company; 2007. pp. 100–29. 29. Iacopino AM. Bethesda: American Academy of Periodontology; c2009. Chronic periodontal disease may contribute to diabetes.